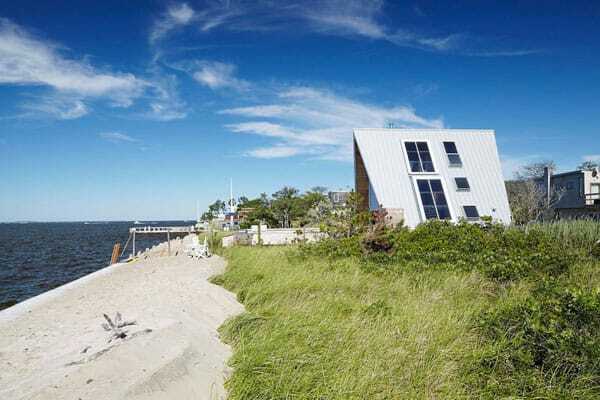 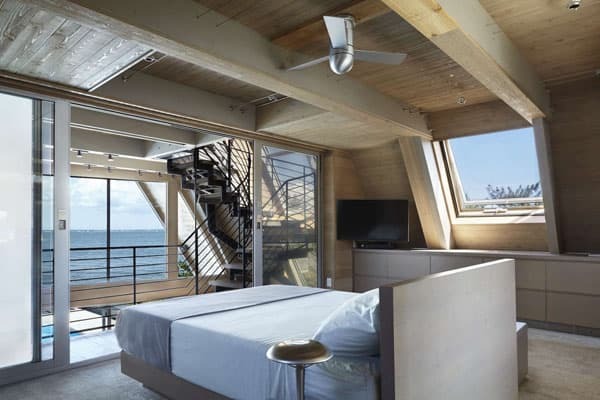 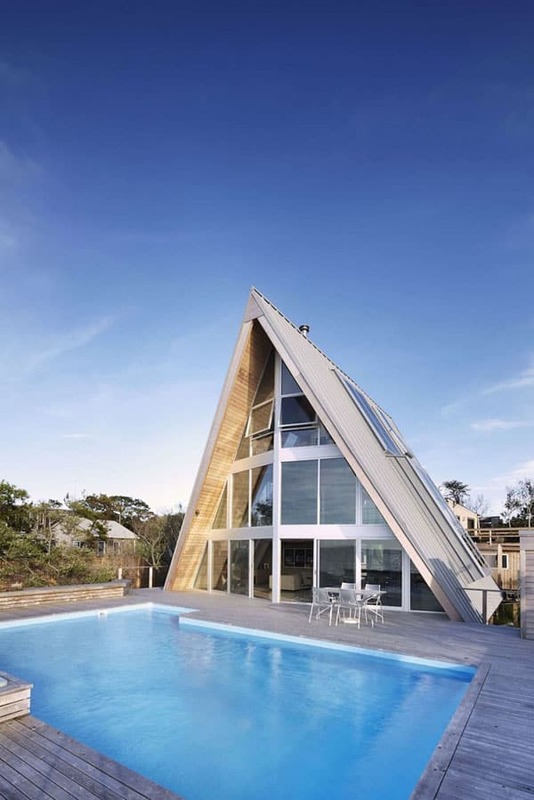 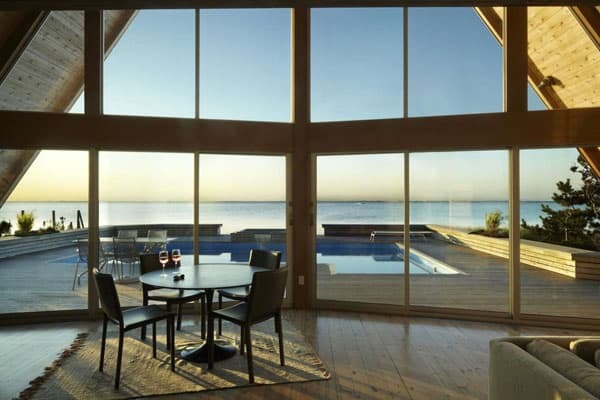 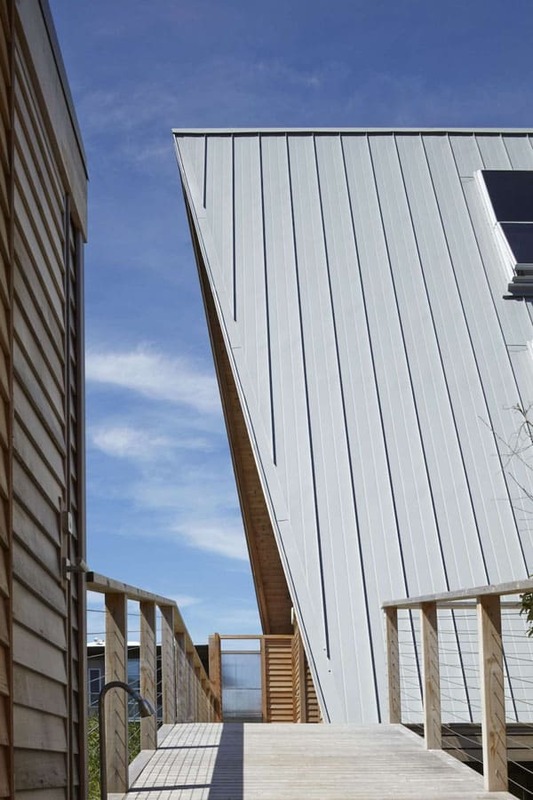 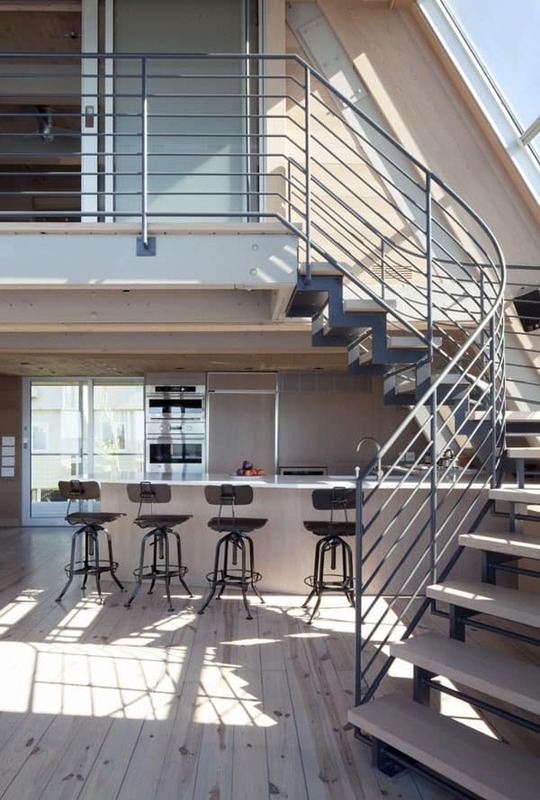 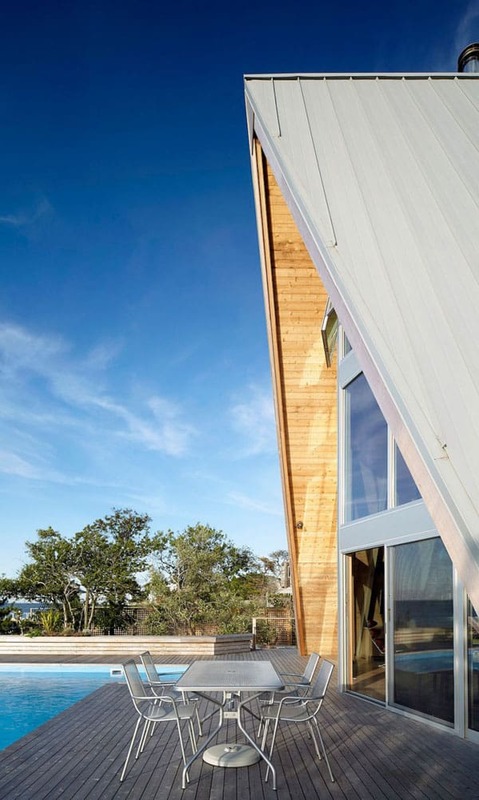 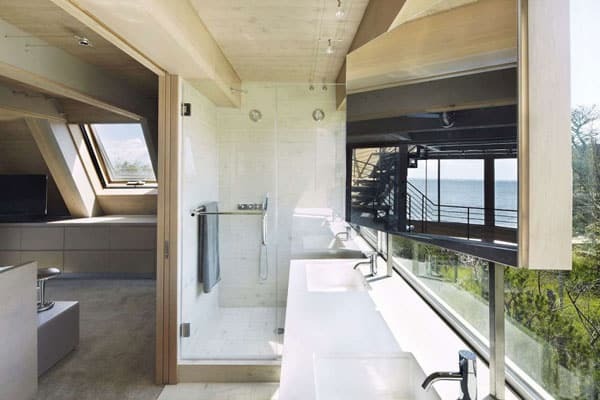 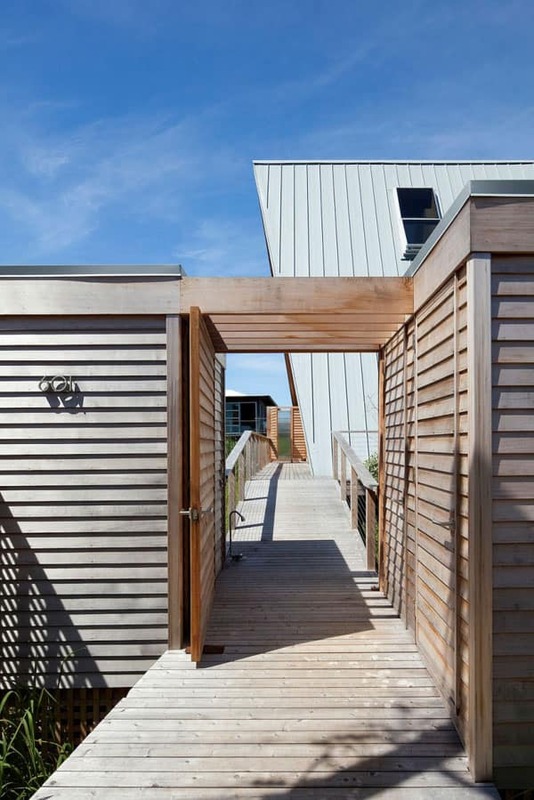 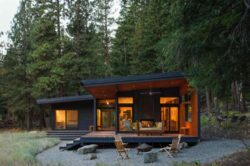 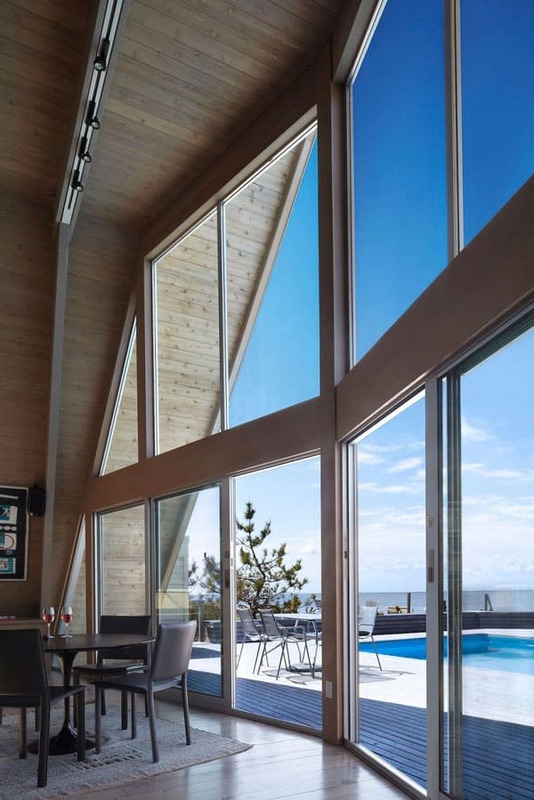 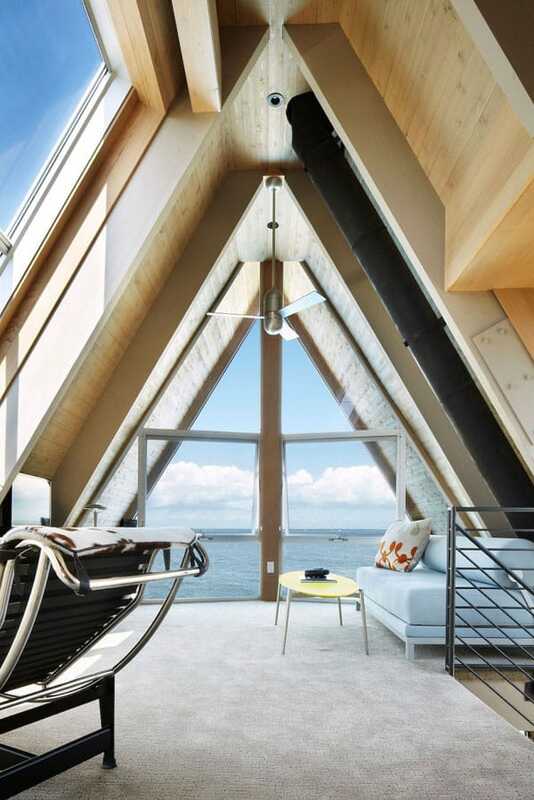 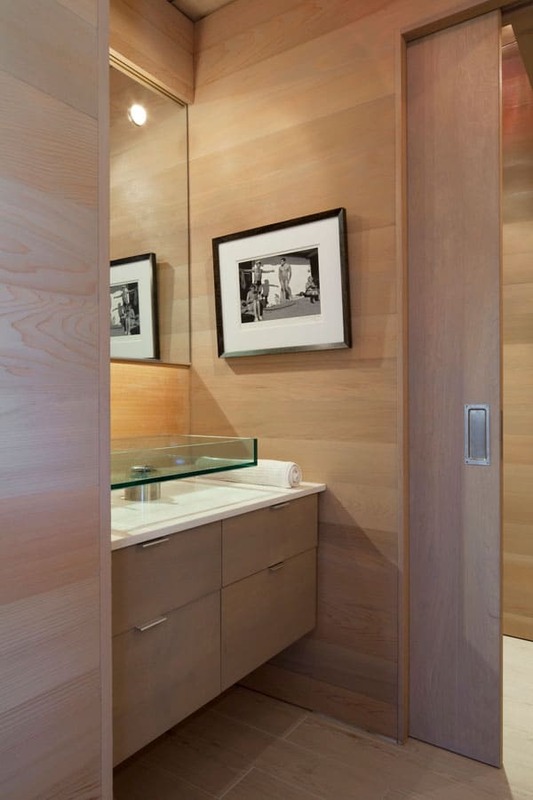 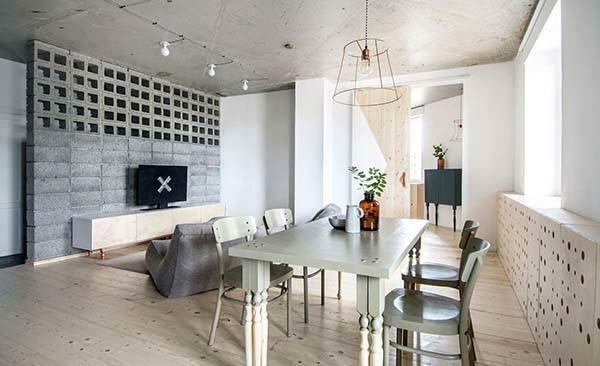 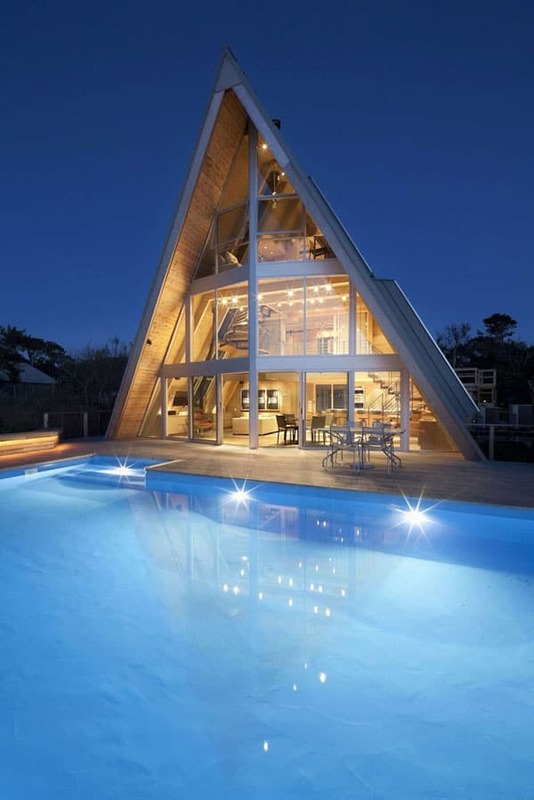 In a complete renovation of a bayside A-frame house on Fire Island, New York, Bromley Caldari Architects turned a seasoned beach rental into a sleek hideout. 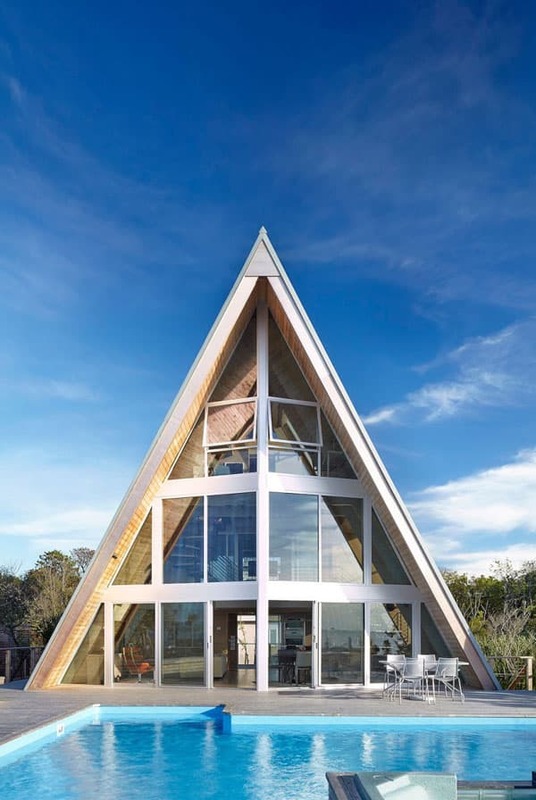 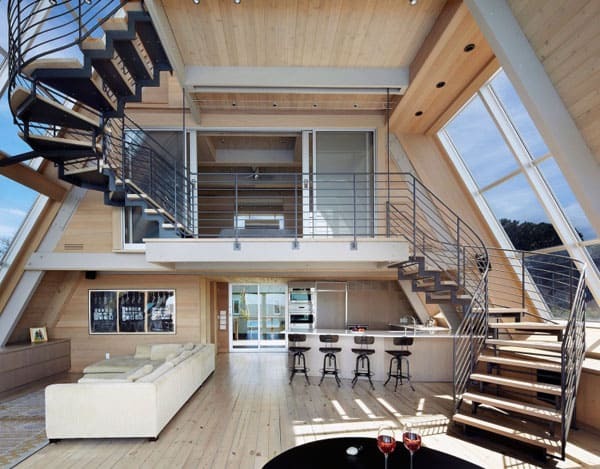 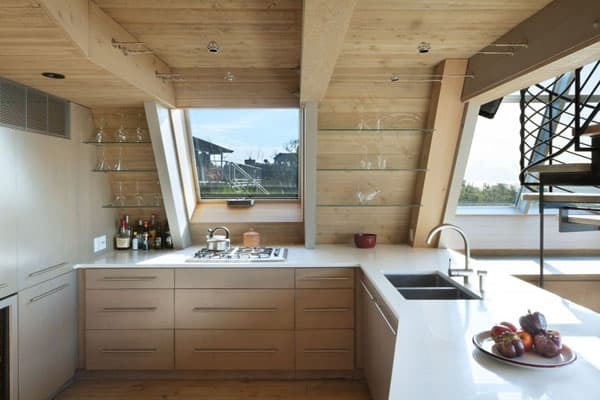 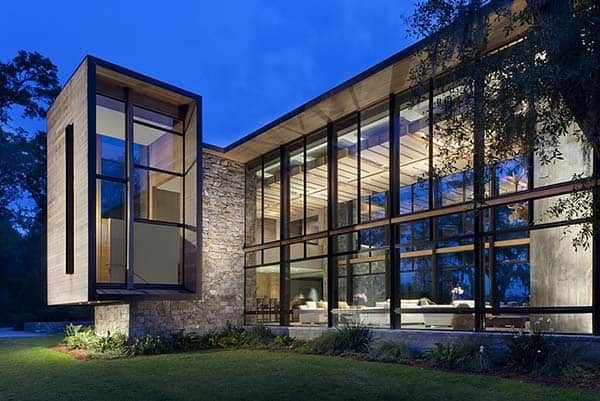 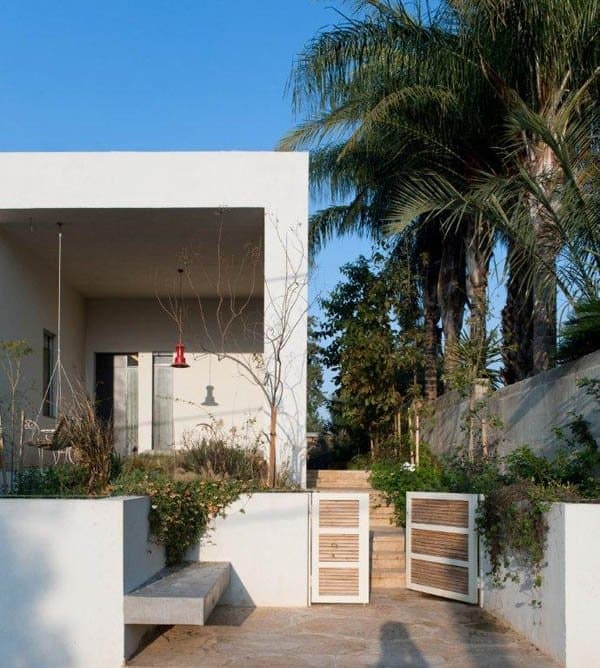 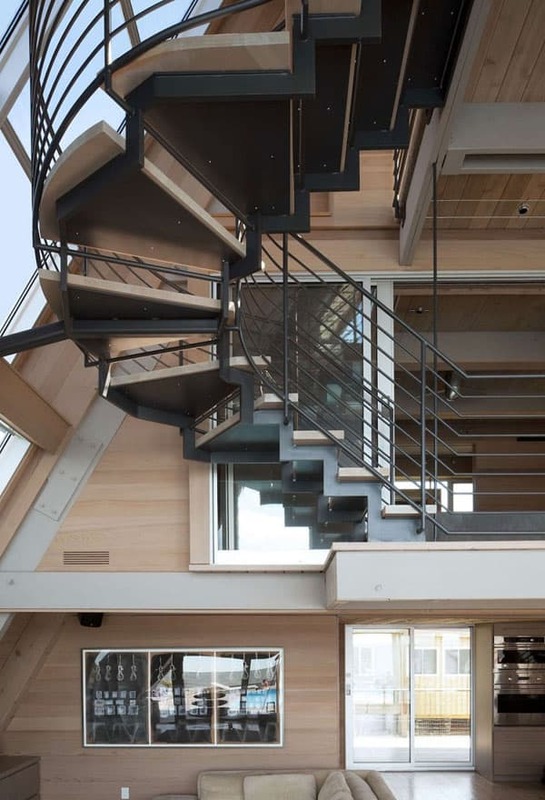 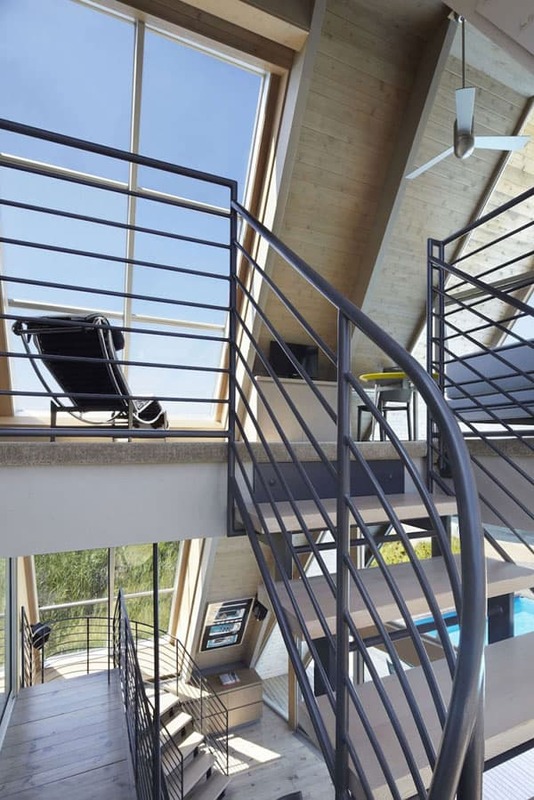 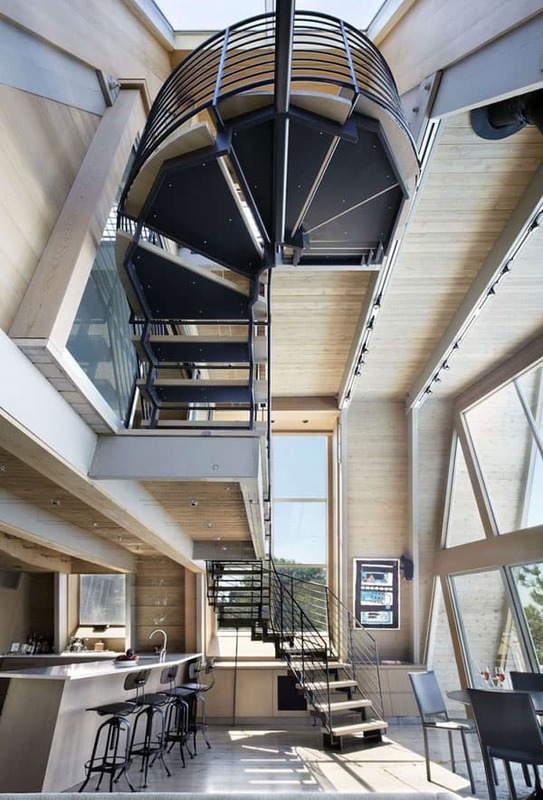 Rethinking the iconic 1960s A-frame form, the architects broke through the envelope of the building to weave a sculptural staircase through the airy three-story structure. 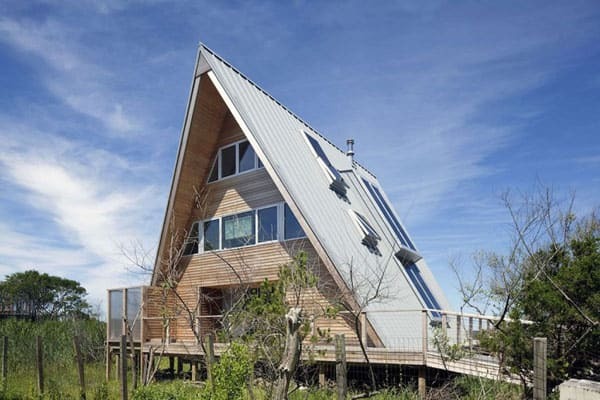 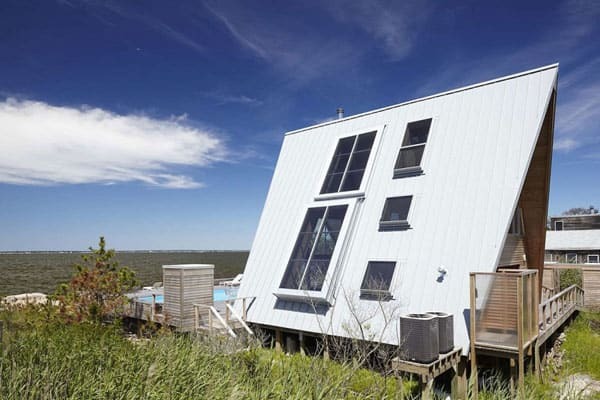 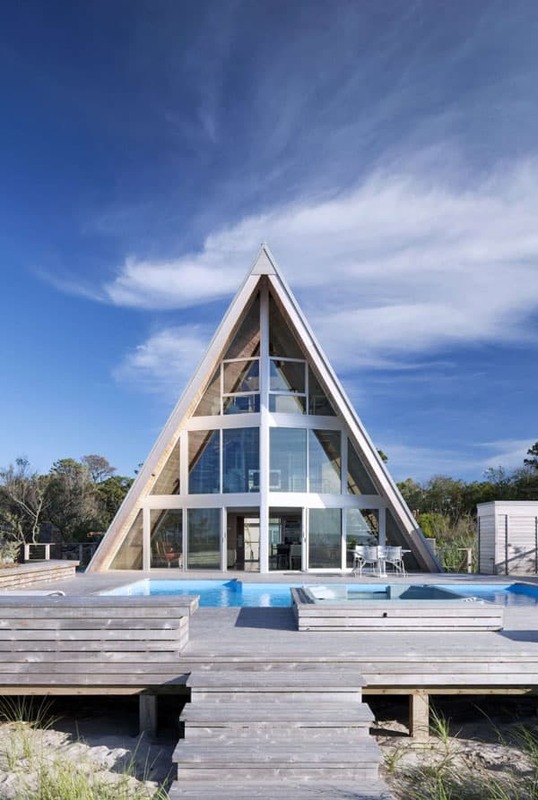 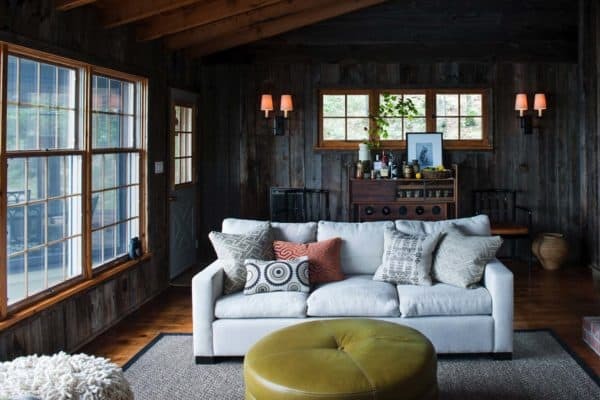 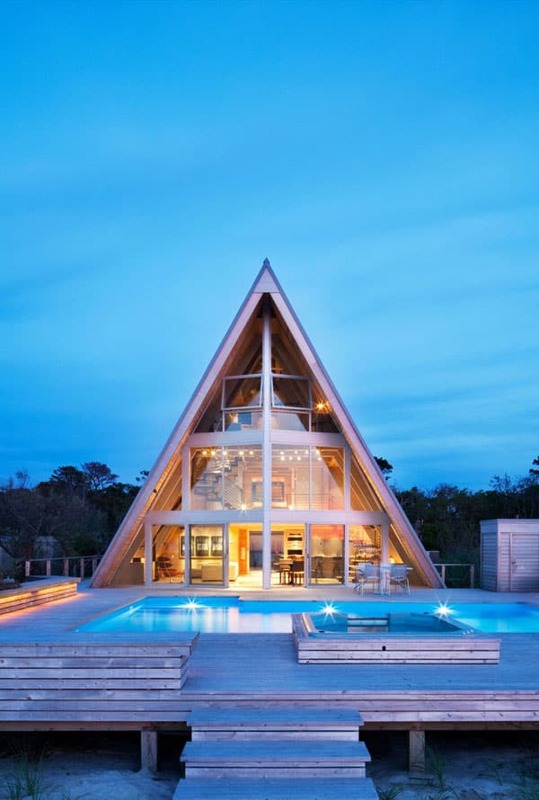 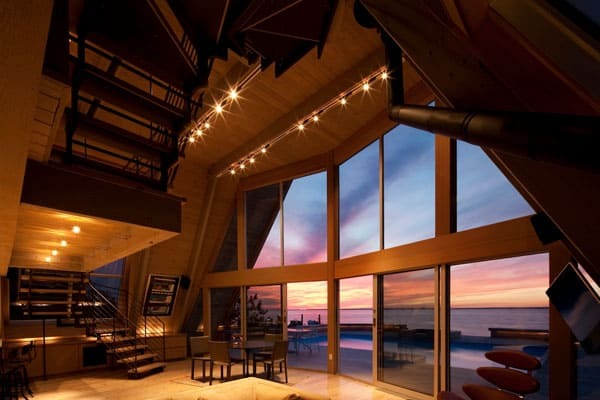 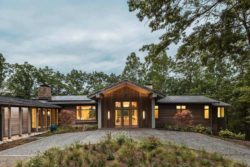 A typical A-frame, the house had a spiral staircase splitting down the middle, four dark and cramped bedrooms, a leaky roof, and a cracked pile foundation – not the pristine vacation home that is so often associated with Fire Island Pines.